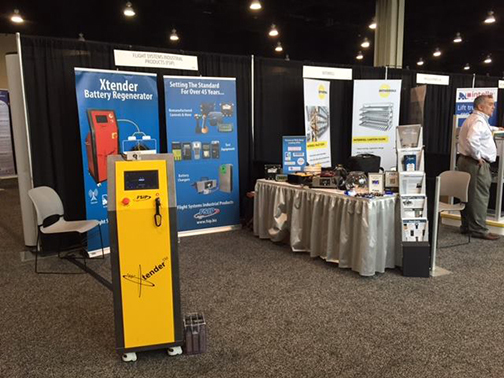 FSIP was pleased to feature the Xtender Battery Regenerator in the 2016 MHEDA Convention Exhibitor’s Showcase. The event was held April 30-May 4, 2016, at the Gaylord National Resort & Convention Center in National Harbor, Maryland. Over 700 material handling industry professionals attended the event, which followed the theme of "Passion With Purpose." Many industry professionals stopped by the display to learn more about the Xtender Battery Regeneration system, and how it can cut costs on battery purchases, as well as add new revenue streams through battery restoration and maintenance. To learn how the Xtender Battery Regenerator can benefit your business, contact us today.